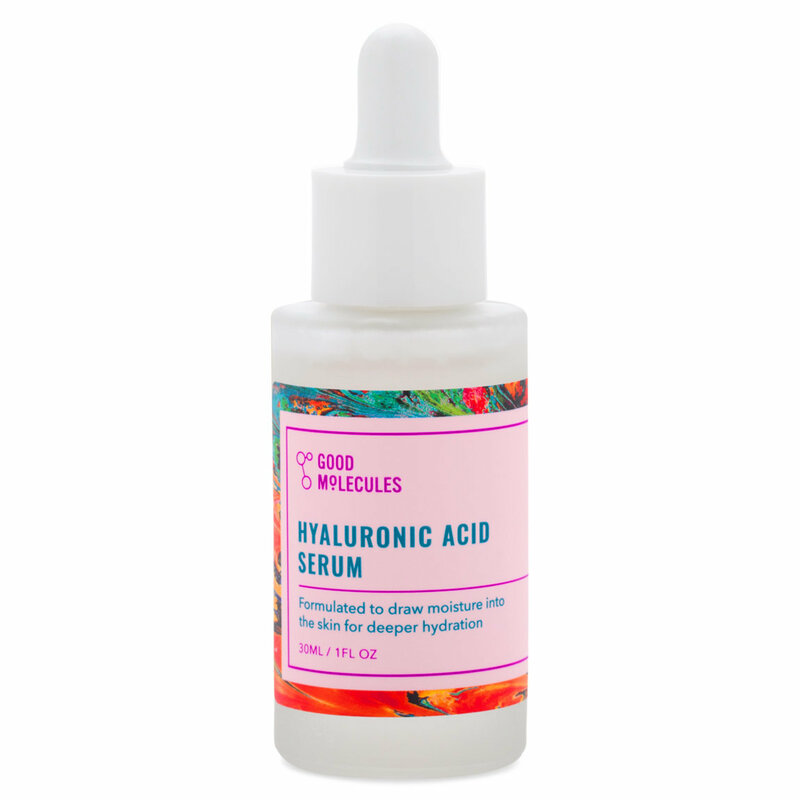 Replenish your skin’s moisture content with Hyaluronic Acid Serum from Good Molecules. Formulated with hyaluronic acid, this water-light serum draws moisture to the skin for long-lasting hydration. With just one use, skin appears smooth, supple, and well-hydrated. Apply a few drops in the morning and at night before oils, creams, and moisturizers. For best results, apply to damp skin. Let absorb for 30 seconds before continuing with your routine. Suitable for daily use. I am obsessed. I never used this kind of serum before but I heard great things so I thought I would give this brand a try. So I put it on once I got out the shower and before I started my skin care routine. I woke up the next morning with the softest, plumped skin ever and this is only the first time I have tried it. I know it seems too good to be true but l would try it for yourself so you can see exactly what I am talking about. I recommend. And btw I have dry skin so it was amazing to wake up to hydrated skin. Best 6$ I’ve Ever Spent! Ok, the fact that Beautylish created this brand made me buy this!!! I normally don’t buy serums but my skin has been on the dry side with the ever changing weather. I have used it for two days now and my skin is GLOWING and radiant somehow. I feel like it really hydrates and works great as a base layer under moisturizer. I don’t know what kind of magic they used to keep my face glowing all day (without a pound of highlighter reapplied incessantly) but for six bucks it’s a steal! A hyaluronic acid is a must in any skincare regime to ensure hydrated beautiful skin! 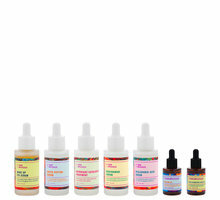 I have tried several different types of hyaluronic acid serums but always had the issue that the would make my skin sticky. This meant that I couldn't use the hyaluronic acid serum in the daytime under my makeup. But this is different, the consistency is very water like and absorbs into the skin almost instantly, not leaving behind I sticky surface that interrupts one's makeup! After getting Good Molecules Hyaluronic Acid serum I now use it as my day time serum, with great results! On days where I feel like a breakout is on its way or after a day of heavy makeup I will mix a few drops of Good Molecules Niacinamide serum and I feel like this keeps my skin feeling and looking great during that daytime! This is a great product. I use this in conjunction with the niacinamide serum. It has worked wonders on my oily skin. Awesome serum for my sensitive skin! I always like having a hyaluronic acid essence or serum in my routine as a nice hydrator step because I have combo yet dehydrated skin. This serum sinks in nicely without leaving a tacky feel. It doesn't break me out or create CCs. This is now my favorite hyaluronic acid serum and will definitely be repurchasing it again! Lightweight hydration at a steal of a price! Hyaluronic Acid is a must have in everybody's skincare collection, and I was honestly surprised at just how effective this formula is. I use this morning and evening while my skin is slightly damp with toner and right before applying the rest of my products. Hyaluronic acid is not a moisturizer, it's a humectant which means it draws moisture into the skin, so use it when your skin is damp for best results! This particular formula is light and easily absorbed and does not leave my skin feeling sticky or tight. I'm very happy with this addition to my routine! I love this serum! It is very hydrating and doesn’t have a strong scent, it leaves my super dry skin feeling soft and happy again. Worth every penny, I will never go back to my old brand again. I like this, but still trying it out. This is the first time I've purchased Good Molecules -- I usually buy The Ordinary Hyaluronic Acid, but it was sold out. So I am trying Good Molecules. Very similar to The Ordinary, so far so good. I have been using this for over a month now and I just think it's such a great hydrating and plumping serum! I put this on and then do the rest of my skincare and my skin just seems to have come to life. It just looks so good ever since I started using this, along with the Ultra Hydration Oil from Good Molecules as well. I have mature skin and this leaves my skin so soft and baby smooth. The price is a steal and I think it works extremely well. I use this every day as part of my morning routine. I have not found much difference on my face but the dark spots on my hands are starting to fade. Your hands show your age so I like what it does.